January 7th marks the 30th Anniversary of the beginning of Creative Juices. It was the day my then partner, Max Parker, and I applied for our very first business license. We started working out of my parents’ house in 1981. With a reconditioned Compugraphic typesetting machine and a drafting table we began. The customers trickled in and business took off. Soon Creative Juices moved into a nearby storefront on Hawthorne Blvd. After a few years and growing pains, we moved to another storefront in downtown Torrance, in between a thrift store and a shoe repair shop. There was a Newberrys across the street and a tasty bakery down the block. They had really great tuna sandwiches and huge chocolate chip cookies. Max soon left the juice factory to create Dogs of Design. We still worked together and moved into a new industrial park. Several moves and years later Creative Juices is now located in my own home office and Dogs moved to El Segundo. The graphic design industry has changed quite a lot over the years. From typesetting and paste up to desktop publishing and the internet. In spite of all the ups and downs of recessions and the new online world of design, Creative Juices continues on. The future is online publishing, content creation and marketing. I look forward to many more years of learning and growing my business and yours. Check out more of the history of Creative Juices. Starting today you can register a .co domain name. This is known as a Top Level Domain (TLD) which started in South America but is now available worldwide. The abbreviation .co can be interpreted as any number of things, from company, community, commerce or any other word you like that begins with “co” such as con. Is this just another way of wasting your money? True, some people think this is just another way of getting you to pay a premium amount of money to reserve yet another version of your domain to prevent others from getting it. While .com is the most popular choice, you also have .net, .org, .info and much more. How many people reserved a .mobi domain for mobile phones and now wonder why they bothered? On the other hand, if you have a company name and cannot get a .com domain for it, now’s your chance to reserve a .co version. I’ve already registered creativejuices.co and cjuices.co. See if your domain name is available at my Creative Juices Domains website. And if you do reserve it there you’ll be contributing to the survival of Creative Juices since I am a GoDaddy registered reseller. Yay me. How this plays out remains to be seen. Will search engines like this new domain extension? Will people get confused between .co and .com thinking it’s a misspelling and end up going to your competition by mistake? Do you want to take a chance and ignore this opportunity and let somebody else get your desired domain name… again? Read “New domain .co goes up for sale” by Jennifer Scott from ITPRO for more information. If you’ve always wanted a well designed website platform that you can easily update yourself, WordPress.org is the answer. “WordPress is a state-of-the-art publishing platform with a focus on aesthetics, web standards, and usability. WordPress is both free and priceless at the same time.” So says the WordPress website. A self-hosted WordPress blog/website is the perfect format. It’s a content management system that’s easy to use and update. You have complete control of your site and can modify it whenever you want. Add pages, add posts, modify text. Create a photo gallery. And unlike WordPress.com, you can sell products and sign up for affiliate programs. And the best part is, it’s easy to understand. And don’t forget free. “WordPress is infinitely extensible. One of the core philosophies of WordPress is to keep the core code as light and fast as possible but to provide a rich framework for the huge community to expand what WordPress can do, limited only by their imagination,” says the folks at WordPress.org. A large variety of plugins add infinite versatility to your site. Just about anything you can think of can be added. It’s as simple as finding the plugin, installing it with a click of a button and dragging a widget to your sidebar. Free Templates are Great. Your Own Unique Template is Better. Here’s where Creative Juices comes in. While you can get quite a variety of free templates online, having your own unique header and theme, utilizing your logo, photos and artwork, adds a special touch. A Creative Juices designed template adds class to your site. You’ll stand out because your site will be unlike any other. Here’s a great opportunity to start your own self-hosted WordPress blog/website. Let the world know about your business or service. It’s fun to express yourself, share your expertise and maybe even make some money. For a limited time Creative Juices Design Studio is offering one year Free Hosting, set up and Domain Name Registration with your custom designed WordPress themed blog/website order*. This is an incredible opportunity to start your own blog/website with a creative look uniquely your own. And remember, your self-hosted WordPress blog/website has a completely accessible back end that is easy to learn. You will be able to make changes, add an unlimited number of pages and install plugins with unbelievable functionality, all on your own. This includes photo galleries, PayPal shopping carts, Twitter and Facebook links, calendars, search engine optimization and tons more. Search Engine Optimization and Site Registration are also available. Call for estimate. Includes Title Tags, Meta Description, Keywords and Registration with major search engines like Google and Bing. Call 310-791-5803 today and you can have a fully functional, completely customized website within a week. Starting your own blog and/or website is a great hobby as well as a business tool. We make it creatively easy for you. When you’re ready for something more, we can also design template-free websites from scratch. Call for a quote. Because everyone’s needs are different we can’t list prices. Tell us your budget and we’ll tailor a program to fit your needs. And of course, if you’re not interested in a hands on approach, we can do it all for you. Hurry. You can’t afford to be without a visually appealing, highly functional website. Niche Blogging is Fun and Can be Profitable Too. Does your pet have their own blog? 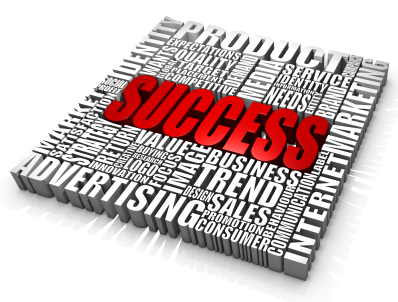 It’s can be rewarding and you can make money through affiliate marketing and selling merchandise. You can also use it to market your own business. Why not? 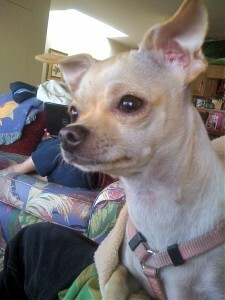 I set up a blog for my Chihuahua using WordPress. It’s called AllMyChihuahuas. 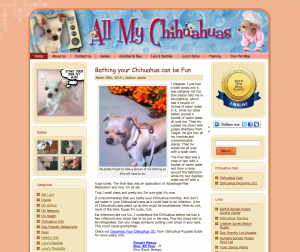 If you want a unique WordPress template created for your little pet, give Creative Juices a call at 310.791.5803. You can also check out some of our other exciting website designs. We offer quite a large, diverse collection. Having been in the graphics business since 1981 we were there at the start of the “World Wide Web” craze. Quite a difference from typesetting and pasting up forms to designing state of the art websites to be seen all over the world.